Claiming that Hamas uses Mosques as staging places for attacks and storage for arms the Israeli Defence Forces systematically attack them. In total over sixty mosques are destroyed during the war. 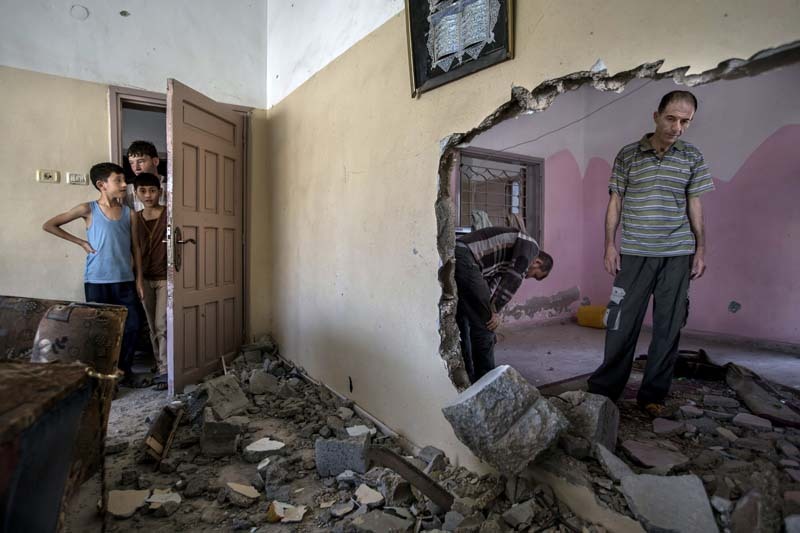 The house of a neighbor to a mosque in northern Gaza City os destroyed in such an attack. His friend is devastated. This is the third time he will have to flee the war.